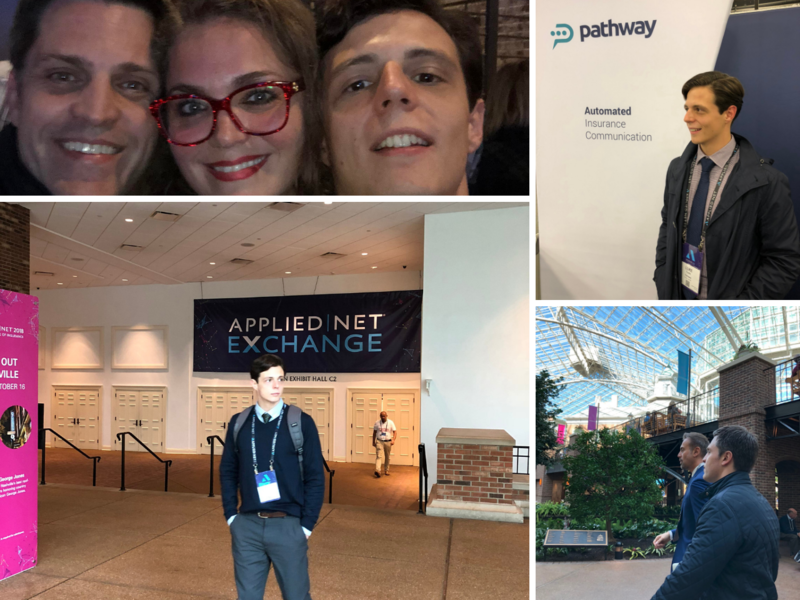 Pathway recently made the 1300-kilometer trek to Nashville, TN for Applied Net 2018. Our goal was to connect with insurance brokers who use the TAM/Epic BMS platform and to exhibit at the Applied Net Exchange Expo. The experience did not disappoint! Of course, we love interacting with clients at these types of events. But, with the hectic pace of day-to-day operations, we sometimes forget the tremendous benefits of getting out of the office and connecting, in person, with other insurance professionals. We imagine, with your busy schedule, you’re probably in the same boat. So, we thought we’d share 3 things we learned about the value of attending industry events like Applied Net 2018. Hopefully, our insights will inspire you to attend one in the near future. If you need a dose of inspiration, attending the right industry event can be just what the doctor ordered. The energy at Applied Net 2018 was truly electric. With so many new faces to see, relationships to build, and informational sessions to attend, each day was filled with something new and exciting. And, with exciting changes happening in the insurance world — especially with brokerages now navigating the digital space — it’s essential to stay abreast of the latest industry trends and developments. We enjoy country music as much as the next person, but if not for Applied Net 2018, we probably wouldn’t have found ourselves in Nashville any time soon. But, we’re glad we made it to Music City. The Gaylord Opryland Resort, where the trade show was held, is an impressive facility worth the visit. We also opted for a city tour to see the sights and take in the local flavor. It was a great way to sneak in a mini vacation while still taking care of business. Yes, the cost to attend industry events can be expensive, but the insights, best practices, connections, and even sales leads you bring back to your business provide a great ROI. We found that to be true for us at Applied Net 2018. We walked away with a ton of quality leads and invaluable knowledge of new vendors, trends, and ideas we can use to make Pathway better for our clients. Now that you know some of the benefits you could be enjoying by attending industry events, tell us in the comments below which event is at the top of your list. We just might see you there!